Android development has been a busy place these last few months. Behind the scenes a lot of work has been done to provide some great features. I'm going to do a series of blog posts showing off some of the progress leading up to the final availability this summer. So without further ado, here's some of the good stuff that's coming. 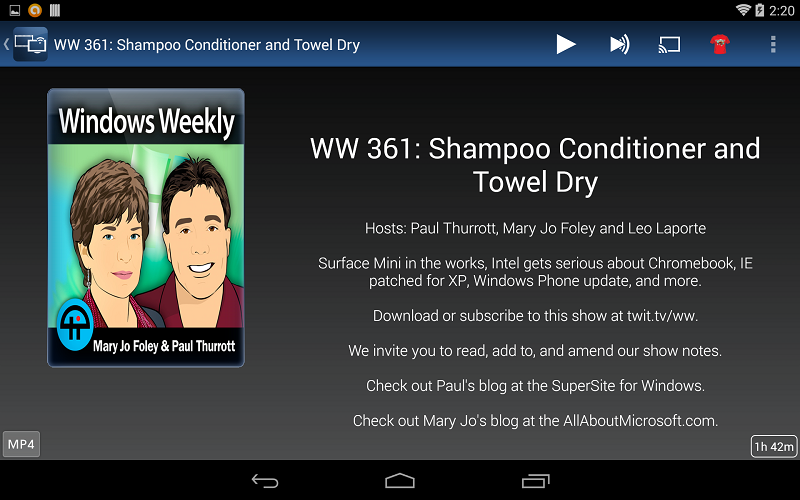 The Android client will provide the mobile layout that everyone is used to. 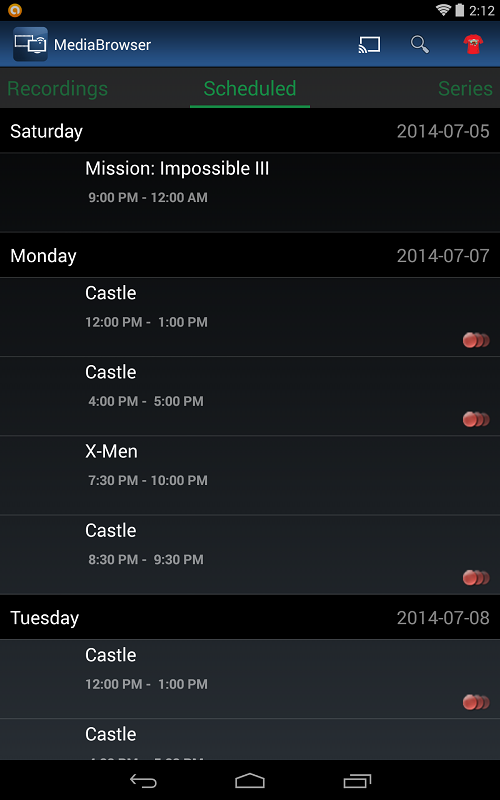 Users will be able to enable a new UI that is meant for TV's. The focus on this new UI is to make navigation as easy as possible using a remote control, rather than a touch-navigation-first design. 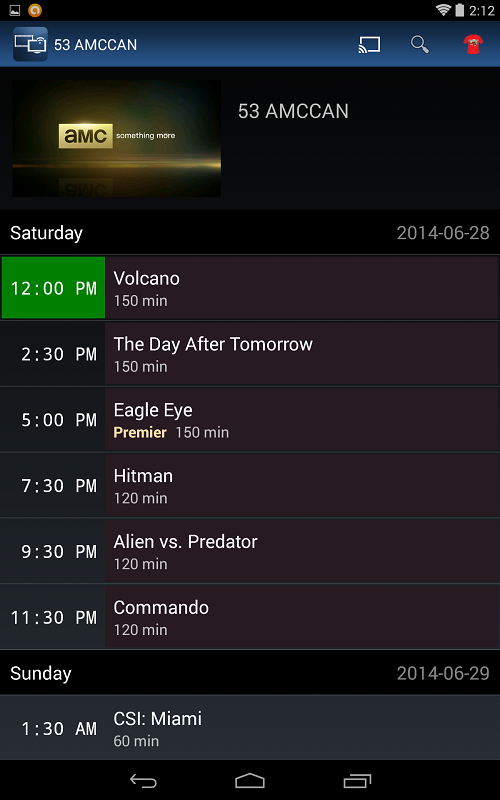 In each view, you can press the menu button on your remote to display a list of relevant options for the current view. With a living room UI, the client will also be available for the FireTV and Ouya. A lot of people have asked for this one and I'm happy to oblige. If your Media Browser Server is configured to support live-tv, then you'll be able to enjoy a full-featured Live-TV experience. Watch last nights episode of Falling Skies, record a program, browse TV stations. All possible. 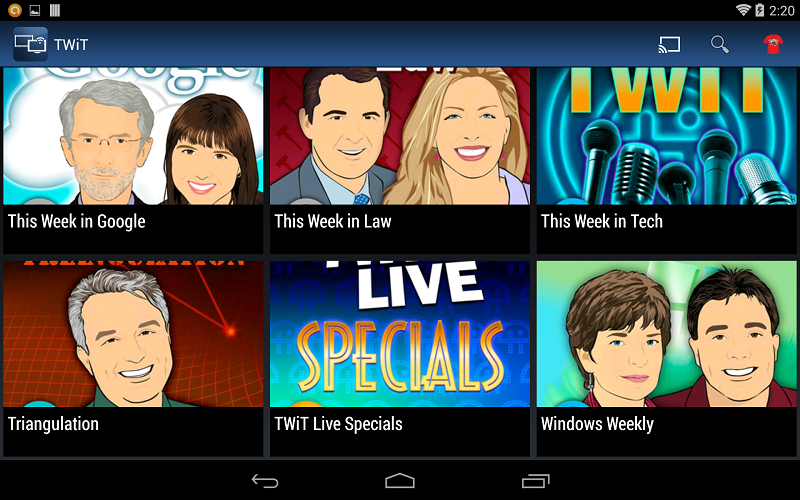 Browsing and watching content from channels is now possible from your android device. Just add a channel to the Server and enjoy it on your device. There have been lots of tweaks and fixes. The Android client now uses the same logic to play media as most other clients. This means the client is smarter with regards to choosing which audio track to play. The client is aware of more media types, no more transcoding for media types that Android natively supports. Support for Dolby Digital is also a feature of the improved internal media player. The device has to support Dolby and the media must contains dolby tracks. Awesome! Just bought a FireTV, this will definitely lead to me purchasing a few more and replacing all my XBMC frontends. Hope to see it soon! Are there plans to support Android TV when it's released later this year? Or should the existing client work? So excited for this! I have a matricon mx2 that i purchased to replace my aged htpc. It's collecting dust because the current MB app (I assume designed for a tablet) just doesn't feel right. Can't wait for a 10-ft UI!! On another note: Love and appreciate the work you guys are doing. I started my htpc with mb2.0 and left after a couple years. I switched to XBMC (if everyone else uses it, it can't be that bad, right?). Just didn't like the UI (although I'm still using it for music to display fanart on tv during parties). Switched to MediaPortal and OMG what work. Had major stability issues, probably user error, but still. Then MB3.0 came along and I'm back where I belong. It is the best IMHO, and has a very dedicated development team. Just love what you guys have done and what you have planned!